Selling our home in these economically turbulent times may not be the best option for many of us right now. A satisfying alternative to selling might be to change the look of your current home or to introduce some of the elements that you would ideally like to have in a new home into your existing one. This is something that can be addressed relatively easily; it can be a cost-effective choice and could actually re-define your whole reason for wanting to move in the first place. PS Interior Design can make recommendations, offer you ideas and tips and lend you our expertise to make your space more contemporary, individual, luxurious, eclectic, chic, elegant, stylish or useful - whatever you want. In fact, we think that we can pretty much guarantee that you’ll absolutely love your ‘new’ home. And there's more good news - this can be completed in a lot less time and for a lot less money than you might expect - given the huge range of choices we have available today. 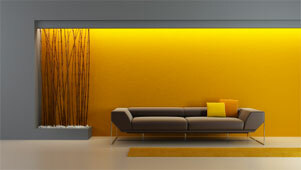 Give us a call to discuss how PS Interior Design can help.